The difference is inside the bulb λάμπας. They create pleasant, comfortable and nice atmosphere in your premises. The difference is inside the bulb Led Ledito . Dimensions and the shape are similar with those of the halogen bulbs. 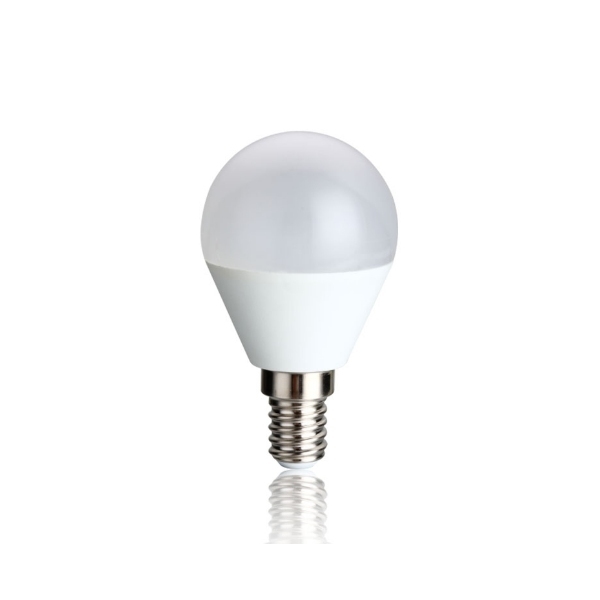 The same shape and approximately the same dimensions, this is the best alternative to replace the regular bulb. The shape of the LED bulb is ideal for your luminaire. 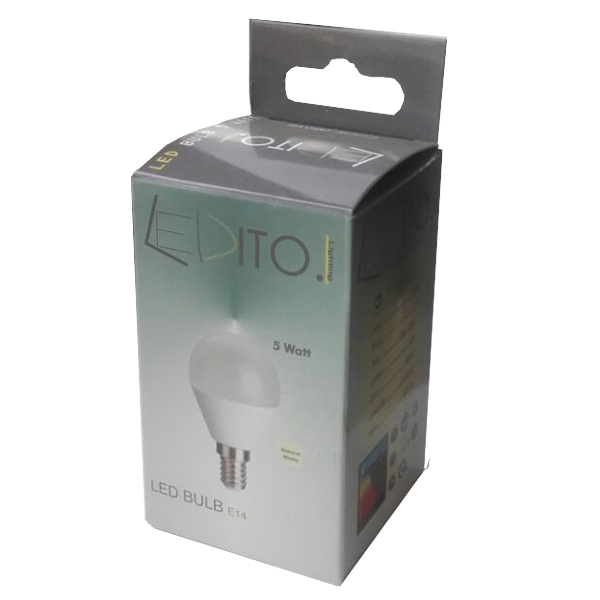 Led bulbs Ledito LMS light up directly at 100% by pressing the button without waiting. They save energy up to 80% and reduce your bill for electricity. 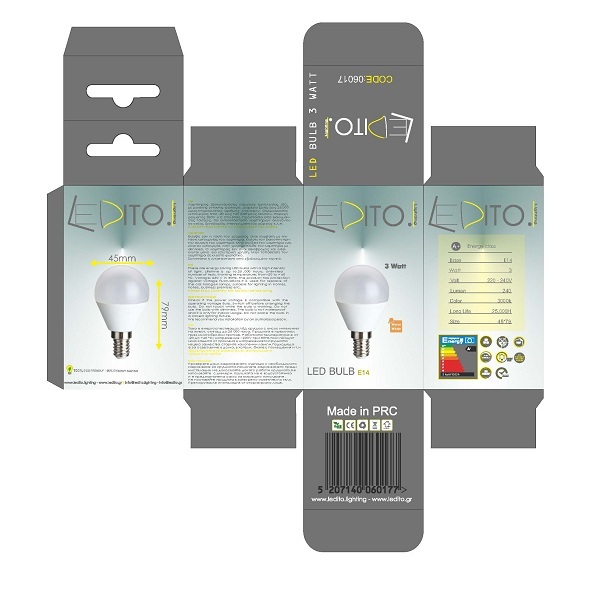 Using Led bulbs Ledito you can save energy up to 80% compared with the regular bulbs. Save money from amortization. Your electricity bills will be reduced and you will save money from electricity. LED bulbs have long lifetime. LED bulbs have longer lifetime, which reach to 25.000 hours, so frequent replacement is not required, as for the regular bulbs which should be replaced on regular intervals. Colour rendering (CRI и 80). The colour rendering index (CRI) describes the effect of a light source in a coloured area. Natural light has CRI 100 and it is used as criteria for all other lighting sources. CRI for LED bulbs LMS is always higher than 80, close to the sunlight, which reflects the colours in a natural way. Without UV and infrared rays. LED bulbs’ light has no infrared radiation,which emits heat. Also, has no UV radiation. The result of these characteristics is that light doesn’t change objects. LED bulbs are environmentally friendly. Using LED bulbs helps protect the environment on our planet.